You are looking for a Van with maximum luxury and comfort? You found it. Take a look at one of our luxury vans and imagine how life can be on the road. We have a growing number of businesses using our services and we are proud to be the leading car service to provide professional services to our business customers. Our priority pick-up service will ensure that a car will be waiting for you as soon as you enter the arrivals terminal. Your chauffeur will be holding up a sign with your name on it. Amsterdam Airport Transfers can offer a fast and reliable transport of documents and parcels. Our team will be availble to make sure your shipment arrives on time where it needs to be. Regardless of where you need to travel, how many people you need to transport or what your budget is, we will provide you with the best possible solutionfor your transportation needs. Exclusively availble to businesses our corporate business acount make life easier for companies. Our goal is to provide the highest quality of service and exceed you expectations. Amsterdam Airport Transfers is a full Chauffeured Driven Car Service provider at the Amsterdam Schiphol Airport. We cater to all the corporate and personal needs and have tailored Limo rental service to match your requirements. Besides these Amsterdam Airport Transfers have specialized FBO Jet-Centre service for when you arrive with your Private-Jet. We guarantee you a professional, reliable, cost effective and completely personalized limo rental service for all your occasional and need. Chauffeured Car Services for taxi prices. Amsterdam Airport Transfers strives hard to offer you highest quality car service so that you can believe in us for all your future requirement. We help you to get your place in time and effortlessly. Our Meet and greet policy helps our customers to feel at home as soon as they land up at the Airport or call our office when they arrive. We make sure our limo drivers are professional and have good amount of experience in driving luxury cars and limo’s. All of our limo drivers hold a cell phone and is in constant touch with the dispatchers. 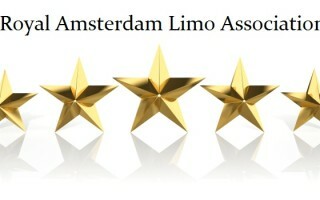 Amsterdam Airport Transfers is also proud member of Dutch limo association, and a member of the Chamber of commerce. You are planning an event and are searching for a reliable partner for your VIP shuttle service? Profit from over 28 years’ experience in the MICE (Meetings/Incentives/Congresses/Events) industry. From your first request on your contact person is at your disposal and supports you all the way during the event until the final processing. If requested your contact person is on site during your event to be even more flexible. Threw our pro-active handling we ensure a smooth process and take the pressure off you in terms of transportation. The VIP shuttle service is available with all of our fleet’s vehicles. With our contacts to the Limo and Car Service industry it is possible for us to organize your requested vehicle in a nearly unlimited number. Please also ask us about our further special vehicles for your shuttle service especially for groups, you will be surprised. We are pleased to organize the VIP shuttle service for your small exclusive group with limousines or vans but also with high quality coaches for your congress participants. On your business trip or during your vacation in the Netherlands, you will have a relaxing stay, while driven by one of our unobtrusive chauffeurs. 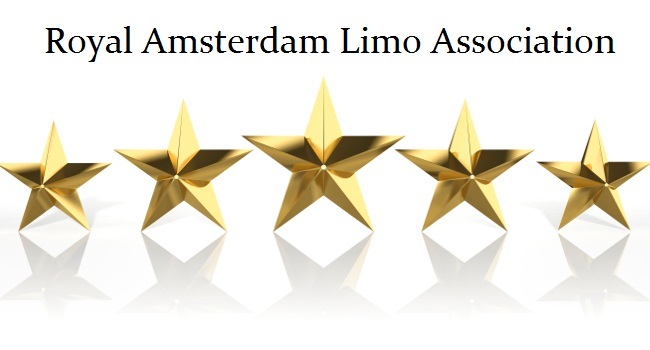 As a premium supplier for limousine service at the Amsterdam and Schiphol Airport we have many contacts with hotels, gastronomy and further prestigious contacts. You can benefit from our connections and closed doors will be opened for you. Please let us know your wishes. Our Amsterdam Airport Transfers team will be pleased to work with you on your itinerary, besides your transfer. Professionalism is a priority for us at all times. Amsterdam is one of the world’s most popular business destinations and we will take you to your destination in a polished and classy style. If affordable, reliable transportation is a must then Luxury Mercedes S or E class is the choice for you. When you traveling with a group we have the luxury Mercedes V class XL for you. Group transportation is one of our specialties. With a party of 10 or more people, we can help guide you through the entire transportation experience. Focusing on your business should be your priority, not transportation. Amsterdam Airport Transfers will map out the ideal route with the best prices. You will be completely satisfied working with our friendly, courteous staff.